The crew will be looking to break the current race record for the Peters & May Round Antigua Race set by Warrior last year. Sign up and join the dynamic SWAT team from April 27th – May 3rd, 2019. 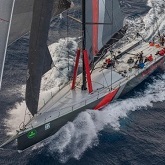 The 100ft superyacht with world-class sailors has confirmed participation. Race Manager Lorna Saunders runs through the key changes to racing at the 2019 edition of ASW. Experience a part of the hot racing action on the water by Chasing the Races in this year's regatta. 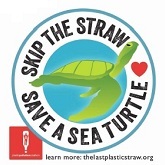 Budding artists and environmentalists will have an opportunity to design a poster to eliminate single-use plastic. With just three months to go before the 52nd edition of ASW there is a fantastic line up of yachts entered. Teams must enter and pay before December 31, 2018 to save US$4 per foot. Y2K was piloted during ASW 2018 when 15 Antigua youths were individually placed on board keel boats racing across the classes. The race organizers encourage yachtsmen to take on the challenge of breaking the existing race record. The series will consist of five races. Three races will be required to qualify. 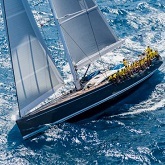 5% discount for yachts entered in 2019 editions of Antigua Sailing Week and Peters & May Round Antigua Race. The earlier you book flights, hotels, charters and berths – the sooner you can begin your countdown to race, chase and celebrate. The official shipping and logistics partner for ASW will sponsor the 2019 & 2020 events. 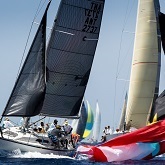 The new rules will take place before the start of racing at Antigua Sailing Week 2019. The double handed class will have its own start and courses will be carefully planned. 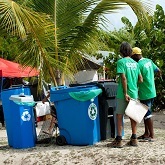 Antigua Sailing Week is fast becoming known as the 'green' regatta, thanks to its innovative approach to waste management. Follow your dreams - The Legacy of Youth to Keelboat (Y2K) 2018. The programme was launched for ASW. Scoring the best corrected time under IRC, Varuna VI was presented with a sketch. Warrior has set a new race record of 2 days, 18 hours 32 minutes & 48 seconds. The turbo-charged Volvo 70 Warrior, sailed by Stephen Murray Jr., has set a blistering pace in the 2018 Antigua to Bermuda Race. 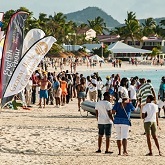 It was all about the beach as Antigua Sailing week action moved to the glorious Dickenson Bay. Brilliant sunshine and 20 knots of trade winds combined to produce a spectacular start for the 14 yachts and 96 sailors competing in the race. 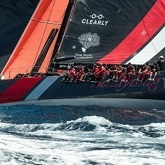 Leading teams, Warrior and Varuna are now over 300 miles offshore, blast reaching through two metre swells. 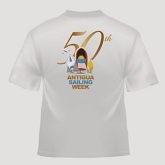 In case you've missed out on this year's Antigua Sailing Week Gill merchandise, there are still a few available. Tropical sunshine and 18 knots of solid trade winds piping up to over 20 knots in gusts blessed the last day of action at Antigua Sailing Week. 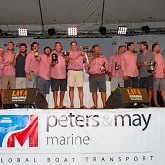 The coveted Lord Nelson Trophy at Antigua Sailing Week was won by Peter Harrison and his team. 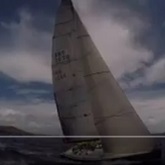 The ultimate Caribbean regatta wrapped into one epic video! Hundreds of sailors and Antiguan locals graced the beautiful beach and crystal clear waters at Pigeon Point. Across the 13 classes competing and with the likelihood of just one race tomorrow, several classes are all but decided. 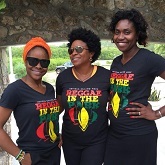 Antigua Sailing Week - Reggae in the Park t-shirts are now available in all sizes for pre-order at US$25/EC$67.50. Thirteen young sailors are competing in just about every class at Antigua Sailing Week, thanks to the Y2K programme. Over 3,000 fans danced the night away as international reggae star, Tarrus Riley sang his way into their hearts. Strong trade winds continued at ASW where the rodeo ride upwind was rewarded with double-digit boat speed. The organisers are working closely with the Royal Police Force of Antigua and Barbuda to minimise traffic to and from the show. Warrior, sailed by Stephen Murray blasted around the 53-mile course in a record time of 3 hrs 55 mins and 38 secs. Mother Nature delivered fantastic conditions for the first day of the 51st edition of Antigua Sailing Week. If you want to follow the 51st Edition of Antigua Sailing Week there are plenty of options. Whether you are a sailor, spectator, or partygoer, the Pocket Guide has got you covered on everything you need to know about Antigua Sailing Week. More than 100 boats registered from 30 countries worldwide and crews from many more will be taking part in a nine-day festival. The Greig City Academy youth sailors from the London state school are all-up for showing what they can do at 51st Antigua Sailing Week! The judges found that her design totally captures this year's theme 'Stop Plastic Pollution'. Barbadian DJ, Andre "Puffy" Parris who holds the coveted title of Red Bull Thre3style World Champion 2016 will perform on May 1st. 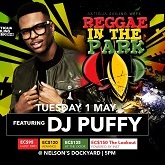 Reggae superstar, Tarrus Riley will headline this year’s highly anticipated ASW Reggae in the Park on Tuesday, May 1st.. The team will deliver daily race reports, live broadcast and video edits from their base in Nelson’s Dockyard. Leading professional services company KPMG is unveiled as the newest sponsor of ASW and the KPMG Race Day. The second edition of the 935-mile oceanic race will start off at Fort Charlotte on May 9th. 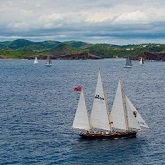 The Inn at English Harbour will be offering special rates for Antigua Sailing Week between April 19th and May 10th. 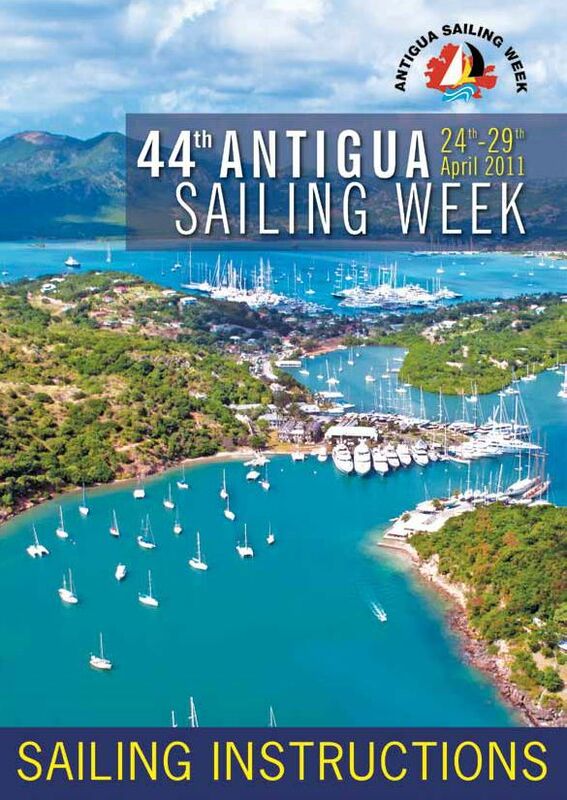 Antigua Sailing Week's 51st edition begins in exactly 2 months on April 28th. Book now to get a first-hand experience of Antigua Sailing Week’s races. Dates are April 29th & 30th, and May 1st, 3rd and 4th. 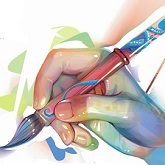 The ASW 51st annual School Art Competition has a new title sponsor. The leading technical apparel brand & manufacturing company has extended its partnership for the 2018/2019 events. Positions available in administration, entertainment, individual transportation, and much more. Deadline for submissions is February 9th, 2018. More than 65 teams from all over the world have already committed to the 51st edition of Antigua Sailing Week. Antigua Sailing Week is looking for a volunteer coordinator to run the School Arts Competition. See how to apply for the position. 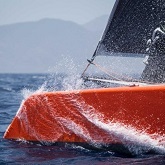 Early entries promise a variety of yachts, including hi-tech ocean racers, luxury bluewater yachts and performance cruisers. A reminder that entry fees must be paid by December 31, 2017 in order to receive the discounted rate of US$10 per foot. 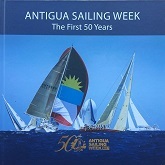 Early entrants will be gifted a copy of the informative book - Antigua Sailing Week: The First 50 Years. Antigua Sailing Week moves into a new era in 2018 as the start of the next 50 years of racing kicks off from April 28th to May 4th, 2018. Sailors wishing to participate in Antigua Sailing Week 2018 can view available charter options. 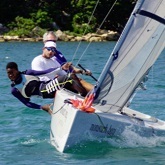 The article highlights Antigua’s Rhone Kirby and Jules Mitchell and their regatta performance. 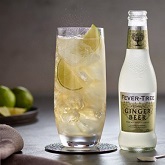 Fever-Tree, the world’s leading premium mixer brand, has renewed its sponsorship for the 2018 and 2019 events. Suitable candidates are invited for the post of Chairman for Antigua Sailing Week Regatta Organising Committee. 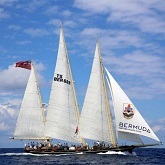 The Royal Bermuda Yacht Club has announced that the second edition of the Antigua Bermuda Race will start on May 9th, 2018. Available at The Best of Books, The Methodist Book Shop, Cindy's Bookstore, Island Secret. 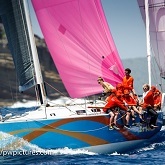 A new episode of CNN Mainsail will feature the 50th edition of Antigua Sailing Week on Jun 15th, 17th & 18th. View the times. The variety of the fleet shows the wide appeal of the race and bodes well for the Antigua Bermuda Race to grow in future editions. 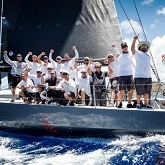 Crew of the abandoned Farr 56, Monterey finished the Antigua Bermuda Race aboard Esprit de Corps IV. 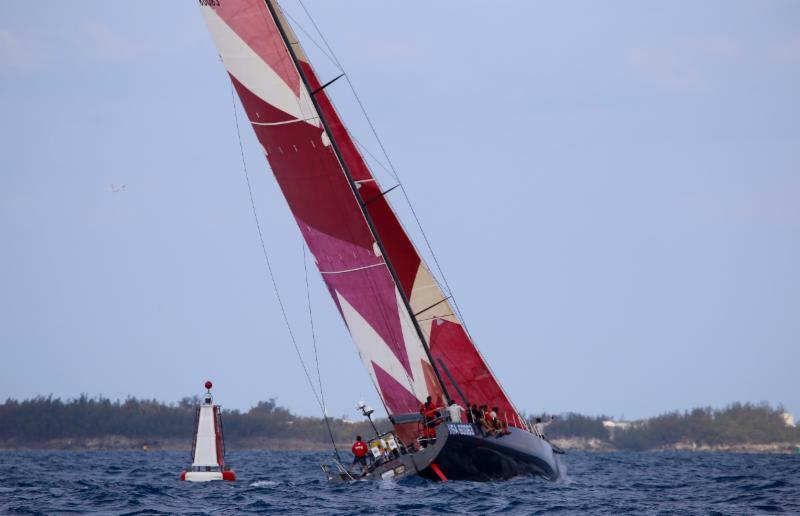 Stephen Murray Jr.'s Volvo 70, Warrior finished the 2017 Antigua Bermuda Race on Tuesday, May 16th. The inaugural 935 nautical mile Antigua Bermuda Race started on time with the entire fleet getting away without a hitch. 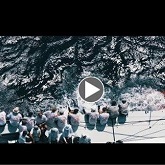 Check out the video from Acquafilms and Antigua Sailing Week amazing media team and complete the survey for feedback. Watch the video featuring the Hon. Asot Michael, Minister of Tourism highlighting the benefits of ASW to the local community of English Harbour, and much more local news. When artist Naydene Gonnella set out to paint the portrait of Bob Marley, she never imagined his son would receive the artwork as a gift. See the preview of the diverse fleet of 21 boats in the race which starts on Friday May 12th, from 12:00 pm outside Fort Charlotte. 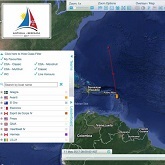 Track the fleet as they head to Bermuda using the Race Tracker, website or social media. 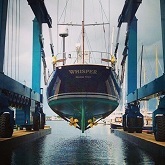 All competing yachts will be fitted with YB Trackers. Watch an impressive range of yachts from all over the world depart from Antigua on their 935 nautical mile race to Bermuda. Competitors have now gathered in Antigua and are making final preparations before the start just outside Nelson's Dockyard. 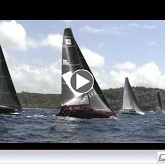 Watch the highlights which was captured by the media team of Antigua Sailing Week, held over April 29th - May 5th. The stage was glittering with dozens of trophies, many of which have been sought after for decades of Caribbean racing. Sergio Sagramoso's Puerto Rican Melges 32, Lazy Dog won the Lord Nelson Trophy. 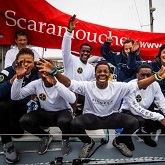 There were some shock results, resulting in a number of teams having the possibility of winning the big one – The 50th edition of Antigua Sailing Week's Lord Nelson Trophy. After 4 days of competition, the Polish R-Six Multihull, skippered by Robert Janecki remains unbeaten out of 150 yachts. It was a perfect day to wind down on Pigeon Point Beach although the weather didn't cooperate completely. Ten teams went out to the race course unbeaten, but only three returned with their perfect score intact after some intense racing. Winning skippers on the first day included Sir Richard Matthews and 18-year-old Jules Mitchell. An impressive entry list of 22 entries is taking shape for the Antigua Bermuda Race which starts from Antigua on Friday, May 12th. The annual event will be celebrating the return of a number of traditional events this year such as Tug-o-War and Greasy Pole. The second day of racing was blessed with awesome conditions, easterly trade winds pumping solid breeze over the cliffs and through the bays on the stunning south coast of Antigua. The question of the Peters & May Round Antigua Race on Saturday, April 29th, was could Sir Peter Harrison beat his own record on his 80th birthday. The race produced a spectacular match between two magnificent ocean greyhounds with an unbelievable finish. Antigua Sailing Week is delighted to announce that the Nonsuch Bay RS Elite Challenge has a full entry list of top competitors. A staggering number of sailors from around the world are descending on the island of Antigua to celebrate the 50th edition of ASW. Use Promo Code: chase-the-race when you book directly online. The first official tour on Sunday, April 30th will cost only US$70. 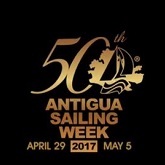 It is now only a few days until we all convene in Nelson’s Dockyard for the Official Opening of the 50th edition of Antigua Sailing Week. Whether you are a sailor, spectator, or party-goer, the Pocket Guide has got you covered. Pick up, download or print your copy now. Tahron Peters of Antigua Grammar School has been named the overall winner of the competition. The developers of Callaloo Cay have become the title sponsor of the latest addition to Antigua Sailing Week calendar of activities – “The Lord Nelson Cocktail and Party". 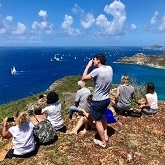 Book now to be a part of the action of Antigua Sailing Week 50th Edition from the land-side at the world famous Shirley Heights Lookout. See the shore-side schedule and party guide, race vantage points, or how to chase the race and more. 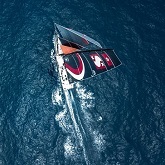 The brand at the forefront of giving a second life to used sails, has signed on as a sponsor for ASW. The race starting on Friday, May 12th is proving highly popular with a huge variety of competitors eager to take on the challenge. 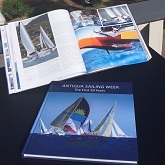 The book was created by Antigua Sailing Week organisers to memorialize the top-class sailing event. The 50th edition of Antigua Sailing Week will see everyone’s favourite event back in action on Sunday May 7th, 2017. Given this momentous time in the event’s history, this year’s theme is “How Has Antigua Sailing Week Broadened Our Horizons?" Antigua Sailing Week has added Fever-Tree, the world's leading premium mixer brand, as a significant sponsor and the event’s official mixer. Antigua Sailing Week is looking for Dynamic Volunteers for the 50th Edition from April 29th - May 5th, 2017. Take advantage of ASW discounted entry fees and view the deadline for customized Gill crew merchandise. 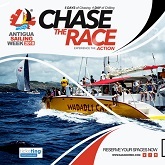 Chase the Race daily for 50th Edition of Antigua Sailing Week set over April 29-May 7, 2017. Celebrate in style for Antigua Sailing Week 50th Edition by ordering your official crew gear with the 50th ASW logo and your boat name. 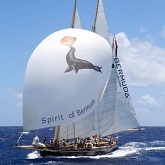 A fantastic welcome is awaiting the magnificent fleet taking part in the inaugural Antigua Bermuda Race. This year, Antigua Sailing Week is celebrating its 50th edition. Eighty-four yachts have already entered and many more are expected to enjoy the memorable occasion. Antigua Sailing Week is celebrating its 50th edition from April 29 – May 5, 2017 and a bumper turn out of exciting boats is anticipated. 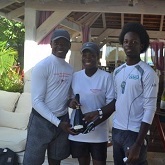 1st and 2nd place winners, Rhone Kirby and Bernie Wong will represent Antigua in the Nonsuch Bay RS Elite Challenge. The Notice of Race for the 50th Antigua Sailing Week to be held from April 29th - May 5th, 2017 is now available. Antigua Sailing Week announced a further 2 year partnership with Peters & May as the Official Yacht Transport and Logistics Partner. 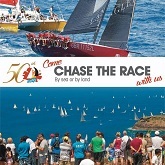 Over 40 yachts have expressed interest in the race. 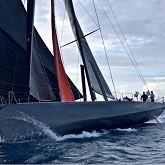 The inaugural race coincides with the finish of the 50th edition of Antigua Sailing Week and the 35th America's Cup event in Bermuda. ASW announce Nonsuch Bay Resort has confirmed sponsorship of ASW 2017 and 5th RS Elite Challenge. 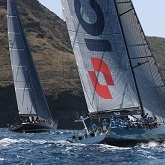 Dream Yacht Charter Signs Three Year Sponsorship Agreement with Antigua Sailing Week. Enter the competition now and until the end of August for a chance to win a case of English Harbour 5 Year Old Rum. 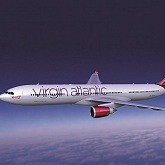 ASW sponsor, Virgin Atlantic has confirmed that flights are available for everyone traveling from Europe and the UK on preferred dates. 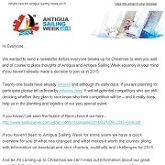 Each year Antigua Sailing Week ask their participants for feedback. Please take a few minutes to fill out their annual survey. The organizers of Antigua Sailing Week (SWAT) would like to thank everyone for their participation and support of the 49th edition. After a hard-fought week, the winner takes it with a near flawless performance. We look ahead to next year's ASW 50th edition set over April 29 - May 5, 2017. The 49th edition of Antigua Sailing Week was a very memorable one with superb conditions throughout the week and a fairy tale ending. 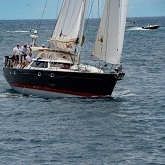 Back to the future, Kialoa III returns on board this historic yacht at Antigua Sailing Week on Peters & May Race Day 4. 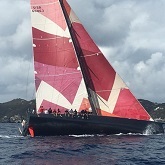 Antigua Sailing Week burst back into action on Day 4 after Presidente Lay Day with some terrific rock and roll action off the South Coast of Antigua. With the Rio Olympics in his sight, Ian Walker takes Rhone under his wing and offers some advice during Antigua Sailing Week 2016. Sailors from all corners of the globe have come to compete in this year's Antigua Sailing Week. Video - The 4th Nonsuch Bay RS Elite Challenge kicked off with two heats of four teams racing to make the four-boat final. 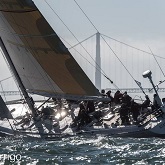 Tony Langley’s TP52, Gladiator still remains unbeaten, but they are not the only team with a perfect score. Chris Body’s J/122 El Ocaso and Sir Hugh Bailey’s CS40 Gypsy-UGo have also been undefeated. In the build up to Antigua Sailing Week’s golden anniversary in 2017, media interest from around the world has been exceptional. Sailors from at least 16 different countries were on the podium at Johnnie Walker Race Day 2 prize giving. For Antigua Sailing Week 2016 Presidente Beer Lay Day fun is back at Pigeon Beach on Wednesday 27th April. Hundreds of spectators watched the start of racing for Antigua Sailing Week from the Shirley Heights Breakfast Party and the Half Moon Bay spectator boats. See the winners of the contest who were chosen from different schools across the island and three age categories. A record fleet of 42 yachts took part in the Round Antigua Race and it turned out to be a race that one young Antiguan sailor will never forget. On all of the big party days there will be restricted parking and on some days Park and Ride in place. With over 100 yachts racing at the 49th edition of Antigua Sailing Week, including an impressive 76 yachts in the CSA Racing Classes, the Caribbean's longest running regatta is set for another fascinating chapter. For the past five years, Green initiatives have moved from being the latest buzz words, to an integral part of how the event operates. The 49th Antigua Sailing Week will soon be here and the committee is looking forward to welcoming the accredited media to the event. Pick up your tickets early for the concert featuring Luciano, on April 26th from any of the outlets or purchase through the ticketing app. Read or download the Spectators Guide to Racing and the Shoreside Party Guide for Antigua Sailing Week set over April 23rd - 29th. Read the latest press release on Bareboat and race charters availability, online entries and fees, crew waivers and more. 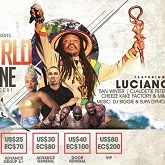 ASW is thrilled to announce that Jamaican, roots reggae sensation, Luciano will be the headline act on the main stage along with home grown Antigua talent in Nelson's Dockyard on Tuesday, April 26th. See also the party guide. The 2016 edition of Antigua Sailing Week is set to be one of the world's most cosmopolitan regattas and there is still time to join in the thrill of sailing and partying at one of the world's best sailing regattas. 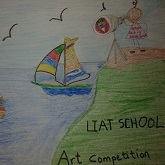 Antigua Sailing Week is delighted to launch the 2016 LIAT Schools Art Competition. See the details of the competition including the theme, rules and application form. ASW is delighted to announce Half Moon Bay as an official resort sponsor for the 2016 event. Replay Resorts recently acquired 132 acres of land on 8,000 feet of oceanfront at Half Moon Bay. 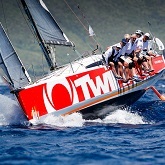 If you’d like to get close to the boats, then Wadadli Cats, sponsored by Half Moon Bay, will be out chasing the races. 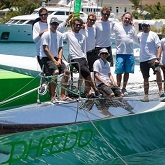 Lloyd Thornburg's, American MOD70 Phaedo3 will be attempting a record run from Antigua to Bermuda this April with a view to joining the Antigua Bermuda Race next year. On Tuesday, March 22 from 6:30 pm, SWAT Management will be hosting a volunteer sign-up meeting at the Antigua Yacht Club Event Center. If you are interested in volunteering for Antigua Sailing Week 2016, taking place from April 23 - 29, find the forms here. Read the news of Sponsors , Concierge Service, Peters & May Shipping Schedule plus flight deals from Virgin Atlantic & LIAT. If you want to take part in the Caribbean's longest running and most famous regatta, Antigua Sailing Week 2016 you still can. See the details here. Antigua Sailing Week is delighted to announce the beginning of a new three year sponsorship with Virgin Atlantic as the Official Exclusive UK Airline Sponsor of Antigua Sailing Week. As the demand for yacht transport in the Caribbean increases, Antigua Sailing Week is delighted to confirm a sponsorship deal with global marine transport company Peters & May. The inaugural Antigua Bermuda Race will commence after the 50th edition of Antigua Sailing Week in early May 2017. 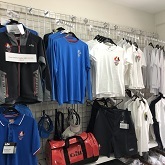 Antigua Sailing Week 2016, Gill merchandise range is now available for sale online or in store in perfect time for Christmas shopping. 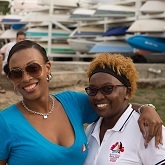 The 49th Antigua Sailing Week is now only five months away and regatta organisers are delighted to announce that two new race officers will be joining the team. Mark Fitzgerald & Karl James through to Lay Day Nonsuch Bay RS Elite Challenge which will take place during Antigua Sailing Week 2016. 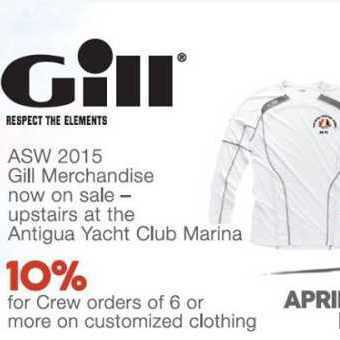 Gill has renewed its partnership with Antigua Sailing Week as the official merchandise sponsor. Antigua Sailing Week is delighted to announce that Sunsail is back on board for Antigua Sailing Week 2016 as the official bareboat yacht charter sponsor. 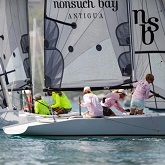 Antigua Sailing Week announces Nonsuch Bay Resort sponsorship of ASW 2016 and the now famous Nonsuch Bay RS Elite Challenge. As winter sets in across most of the northern hemisphere, the lure of Antigua Sailing Week appeals to many overseas sailors. 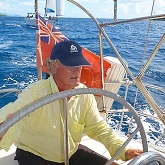 Sailing icon Philip Walwyn, former Commodore of St. Kitts Yacht Club, has tragically passed away after falling overboard only a short distance. Antigua's environmental watchdog, Martin Dudley, gets a write-up in Cruising World. 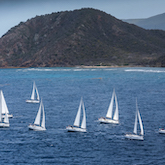 Entries are now open for Antigua Sailing Week, which will host its 49th edition from April 23 – 29, 2016. We would like to invite your feedback about the event so we can keep on improving it. 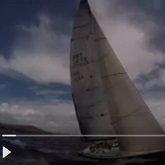 Check out the final wrap up video of Antigua Sailing Week 2015! With just one result all week lower than a first-place, Eduardo Perez's Timbalero 3 may have locked up the victory in Antigua Sailing Week's Multihull Racing division by the end of the previous day, but they weren't about to miss a single day of sailing for the all-new Gunboat G4. The Awards Ceremony for the 48th edition of Antigua Sailing Week was held in Nelson's Dockyard, English Harbour. The final day of the 48th edition of Antigua Sailing Week was blessed with amazing conditions, 20 knots of trade winds, pumping down the rugged south coast of Antigua, kicking up a sea state in brilliant tropical sunshine. With just one race to go, several class winners have now been decided at Antigua Sailing Week. Steel Pulse Lit up Nelson's Dockyard and the Italian Stallions ruled in the Nonsuch Bay RS Elite Challenge. With eight races planned for Antigua Sailing Week, the competition passed the halfway mark today. The second day of Antigua Sailing Week was blessed with cracking conditions with well over a thousand sailors returning to shore, grinning from ear to ear after a spectacular day on the water. With clear blue skies and tropical heat, the Pearns Point Round Antigua Race was a gentle introduction for close to 40 international teams, racing 52 nautical miles around Antigua. Antigua Sailing Week may be the oldest regatta in the Caribbean but there was nothing old school about Timbalero III. 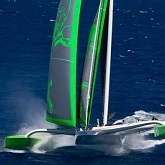 Lloyd Thornburg's MOD70, Phaedo^3 has smashed the race record for the Guadeloupe to Antigua Race, completing the 42-mile course in 1 hour, 27 minutes, 0 seconds, at an astonishing average speed of 28 knots and a top speed of 34 knots. 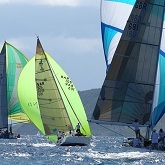 The 45th Edition of Antigua Sailing Week will open for registration on Friday, April 24. For everyone heading to Antigua Sailing Week 2015 we are really looking forward to seeing you here by the end of this week. Yida Group, a large Chinese investment firm, will be the Official Development Sponsor and Sponsor of the Final Race Day of Antigua Sailing Week. The organisers of Antigua Sailing Week are delighted to announce that the Nonsuch Bay RS Elite Challenge will be returning to this year's Lay Day events on Pigeon Beach on Wednesday, April 29. Every year there are many heroes in the background who work tirelessly to ensure that all of the participants, whether on or off the water at Antigua Sailing Week, have a fantastic time. We still have some positions available on the team for ASW 2015. Take a read below and contact the person by email who is listed if you are interested in getting involved. If you’d like to get close to the boats, then Wadadli Cats will be out chasing the first race of the regatta, on Sunday April 26th. Check out the latest news from Antigua Sailing Week in their Newsletter, highlighting their new App available for download now for the regatta. The Antigua Sailing Week 2015 Pocket Guide gives full details of the packed Party Schedule and Race Programme for the regatta. 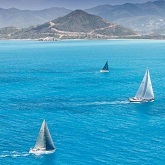 Several yacht charter companies have whole boat or individual spaces still available for Antigua Sailing Week. 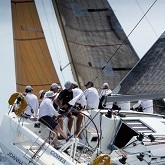 Ondeck have individual places on their Dehler 39 to ‘Rock Up and Race’ for just a day in Antigua Sailing Week 2015. With less than a month to go to the 48th edition of Antigua Sailing Week, over 100 yachts are entered to take part in the Caribbean's longest running regatta, with more entries expected over the coming weeks. Antigua Sailing Week is delighted to announce Pearns Point as the official sponsor of the Round Antigua Race for 2015 as well as a Development Sponsor of Antigua Sailing Week through Pearns Point's parent company Orange Limited. 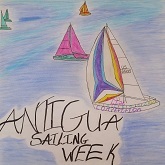 Antigua Sailing Week invites school children age 5 – 18 years to enter its Annual Art Competition. The competition will run from Monday 16th March - 17th April 2015. 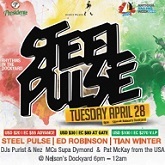 The big party is finally announced for Tuesday 28th April during Antigua Sailing Week. 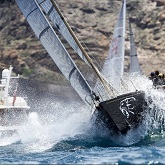 Antigua Sailing Week, happening from April 25 to May 1, 2015, already has 65 boats signed up for one of the most prestigious yachting regattas in the world. Antigua Sailing Week is delighted to announce Sunsail is back on board as the official bareboat charter sponsor of Antigua Sailing Week 2015, set for April 25th - May 1st 2015. 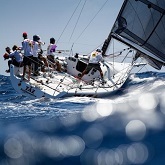 The latest news from Antigua Sailing Week talks of new entries for the 2015 regatta, set for April 25 – May 1 2015. 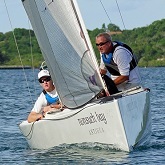 Marc Fitzgerald and Crew take first place of The RS Elite Challenge Summer Series At Nonsuch Bay. Antiguans and residents to participate in RS Elite Challenge qualifier on Sunday December 14. 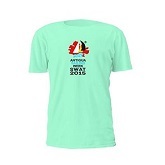 Antigua Sailing Week's 2015 Gill merchandise is now available for purchase. Antigua Sailing Week, in conjunction with its sponsor English Harbour 5 Year Old Rum, will once again sponsor a cocktail hour at the Triskell Cup Regatta to be held in Guadeloupe from November 8 through 10. ASW 2015 Notice of Race, Royal Southern Yacht Club Inter Yacht Club Challenge, Preliminary Schedule and Entries now Open. 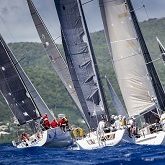 Antigua Sailing Week has issued its 2015 Notice of Race for the regatta taking place over April 25th – May 1st 2015. 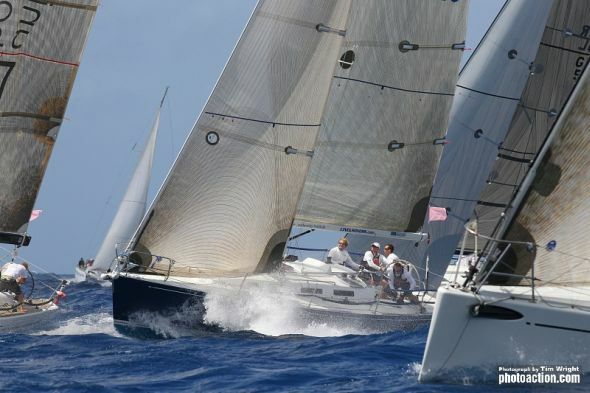 Yacht clubs are being challenged to take their own boats to participate in Antigua Sailing Week or to charter one of many racing boats or bareboats that are available for the event. A letter from Louis Grignon of Sag Harbor Yacht Yard commending the organizers and supporters of the A & B Hamptons Challenge. It’s time to sum up the 47th edition of Antigua Sailing Week with this must watch final video featuring shots from land, sea, and air of some of the best captured moments of this incredible week! ANTIGUA SAILING WEEK 2014 - HAVE YOUR SAY! Antigua Sailing Week 2014 has released its feedback survey so now's the time to have your say. 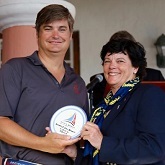 Antigua and Barbuda Hamptons Challenge winner Lou Grignon participated in Antigua Sailing Week. The 47th edition of Antigua Sailing Week featured five days of racing with a fabulous party atmosphere ashore. In this episode we talk with Antigua's Shannon Falcone to find out how his America's Cup experience inspired him to help the younger generation on the Island of Antigua and in return how he inspired them. With no racing on Lay Day, the vast majority of sailors at Antigua Sailing Week enjoyed a lie-in before gathering at Pigeon Beach for Lay Day activities and to watch the Nonsuch Bay RS Elite Challenge. The breeze went up a notch or two for the penultimate day of Antigua Sailing Week, powering up the Caribbean swell to deliver yet more idyllic racing conditions. 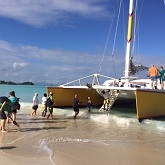 The wind built during the day to whip up white horses on deep blue Caribbean swell to produce surfing conditions for the light displacement boats. The company is making its first appearance in the Caribbean, meeting with the sport community of Antigua and Barbuda while taking in the sailing experience. 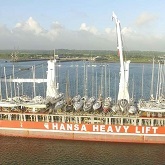 Sunshine and warm breeze was blowing through Falmouth dock, Antigua Monday morning and the thousand or so sailors at Antigua Sailing Week knew they were in for a big treat. There are more than a million reasons to come to Antigua Sailing Week and Sunday's beautiful sailing conditions is one of them. 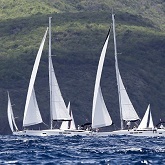 Twenty-one yachts entered the race from north of Deshaies, Guadeloupe to English Harbour, Antigua. 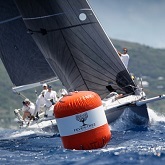 Racing at Antigua Sailing Week continued on Saturday, April 26, with the Yachting World Round Antigua Race. 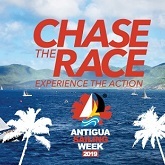 Check out the latest news from Antigua Sailing Week, giving details on ticket prices and pick-up locations for various events during the regatta. Hot off the press, the Antigua Sailing Week pocket guide is finally here. 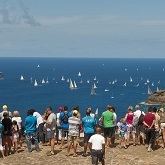 Land-based spectators can watch the racing action of Antigua Sailing Week by knowing the best vantage points. Digicel is again back on board as the official communications sponsor of Antigua Sailing Week 2014. 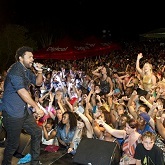 Antigua Sailing Week announces that early bird tickets available for Shaggy concert. Antigua Sailing Week is offering a chance for one person to win 3 nights stay for two people at Nonsuch Bay Resort including breakfast and use of the sailboats. 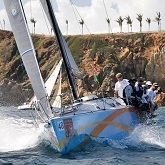 For Antigua Sailing Week 2014 Lay Day fun is back at Pigeon Beach on Wednesday 30th April. Have you been wishing you had made up your mind sooner to charter a boat to participate in Antigua Sailing Week 2014? 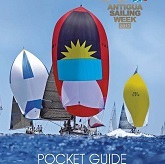 This year, Antigua Sailing Week participants will have an easy-to-use pocket guide to carry around with information on races, events and entertainment at their fingertips. 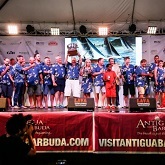 The America's Cup Trophy is coming to Antigua and can be viewed in various locations. 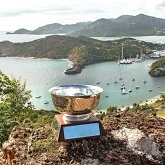 One month today the oldest trophy in the history of sports will be coming to Antigua, coinciding with the official start of Antigua Sailing Week. 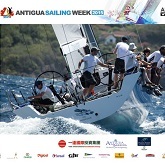 Check out the latest news from Antigua Sailing Week as the regatta fast approaches, set for 26th April – 2nd May 2014. Of the 73 entries so far, an astonishing 21 different countries are represented. 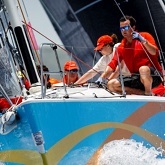 If you’d like to get close to the boats, then Wadadli Cats will be out chasing the races. 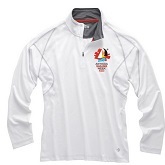 Antigua Sailing Week has just launched an online store with a full range of regatta gear from Gill North America, the official exclusive Clothing Sponsor of Antigua Sailing Week 2014. Celebrating 20 years as event sponsors of Antigua Sailing Week, English Harbour Rum increase to Diamond Sponsors for 2014 and celebrate with Shaggy. 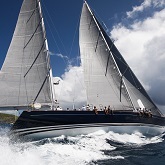 Yachting World Editor David Glenn comments on Antigua Sailing Week in the latest newsletter. 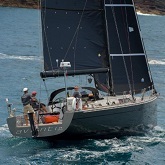 Volvo Open 70 racing charter yacht Monster Project has today lodged her entry for Antigua Sailing Week 2014. Antigua Sailing Week and LIAT now invites school children age 5 – 18 years old, attending school in Antigua & Barbuda, to enter its Annual Art Competition. The competition will run from Monday 3rd March 2014 - 11th April 2014. “SugaPay”, an Antiguan designed alternative payment system, is identified as “the Official Way to Pay” during the 2014 Antigua Sailing Week events and activities. 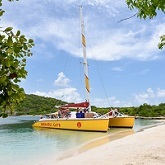 You can ship your boat directly to Europe from Guadeloupe following Antigua Sailing Week. 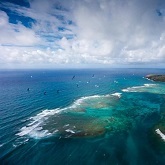 Antigua Sailing Week announces Sunsail as official yacht charter sponsor for the third year. 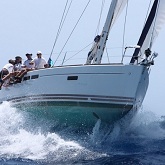 KH+P yachtcharter has boat and individual charter options available for Antigua Sailing Week. On January 15, American University of Antigua (AUA) College of Medicine became official sponsors of Antigua Sailing Week 2014. 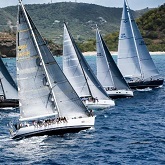 The Yachting World Round Antigua Race will take place on 26th April bringing together a huge variety of boats for the 52 nautical mile course. The annual migration to the Caribbean started in earnest last month with the Atlantic Rally for Cruisers. 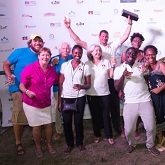 Antigua Sailing Week sponsored a rum cocktail party at the Triskell Cup in Guadeloupe in early November. Antigua Sailing Week is proud to announce that Gill North America has come on board as Official Exclusive Clothing Sponsor of Antigua Sailing Week. 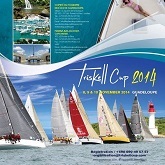 Antigua Sailing Week will once again sponsor a cocktail hour at the Triskell Cup Regatta in Guadeloupe from October 31 to November 3. 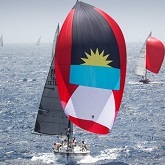 Antigua Sailing Week has issued its 2014 Notice of Race. ANTIGUA SAILING WEEK'S BRITISH TOUR! 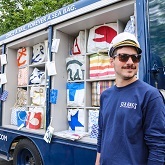 August in Great Britain is the peak month of the year for sailing regattas and Antigua Sailing Week ambassador, Louay Habib, was on hand to proudly promote the event. 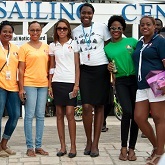 ASW's marketing team will be spreading the word this weekend about the Caribbean's most prestigious regatta. 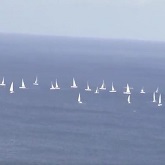 Sky Sports is airing 20 minutes of race reports from Antigua Sailing Week 2013 this week. 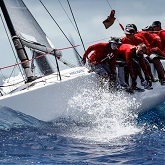 The team at Antigua Sailing Week want to hear what you thought of this years event. Check out the survey and have your say. 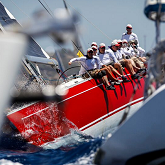 Check out all the exciting action captured by several great photographers during Antigua Sailing Week 2013. Find all the results including winner of the Lord Nelson’s Trophy right here. 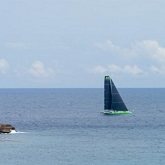 Few would doubt that the sailing waters around Antigua provide one of the best race tracks anywhere in the world. This episode looks at the front runners for the overall prize. You could almost feel the tension on the dock as the international fleet sailed out to the combat area. Thursday 2 May was the penultimate day of racing at Antigua Sailing Week and after Lay Day there was a relaxed atmosphere in Nelson's Dockyard. We see the highlights from the Nonsuch Bay RS Elite Challenge. 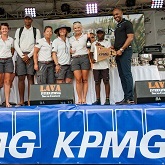 Eight top skippers took part in the fleet racing event with the victor winning a week at Nonsuch Bay Resort, one of the most luxurious beach resorts in the Caribbean. It’s a full on foam up in today's race day 3 action and we see all the thrills and spills from the decks of Sailing Yacht Bristolian. After two days of relatively calm weather by Antiguan standards, full Trade Wind power returned to deliver a spectacular day of action at Antigua Sailing Week. 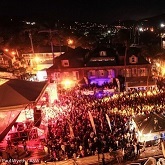 The biggest party night of Antigua Sailing Week lived up to all of its lively expectations from start to finish. Highlights from the Yachting World Round Antigua Race with Yachting World's Matt Sheahan on board Quokka as they navigate the 52 mile race around Antigua. 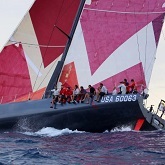 Check out the inside scoop on Antigua Sailing Week 2013 Race Day 1 & The Antigua and Barbuda Hamptons Challenge. 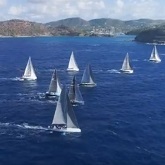 The 2013 Yachting World Round Antigua Race may have been a light airs affair but it was a highly competitive and tactically challenging race around the beautiful coastline of Antigua. As boats and people arrive on the shores of Antigua preparations get underway for what is looking to be a fantastic Antigua Sailing Week 2013. In this episode we get the big picture from Kathy Lammers, Chairman of the Regatta Organizing Committee and our resident racing guru Louay Habib gives us his thoughts on the weeks hot contenders. 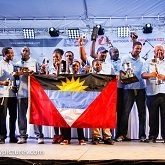 The winning crew of the 2012 Antigua and Barbuda Hampton’s Challenge “Wasn’t Me” arrived in Antigua yesterday (Friday) ready to participate in the 2013 Antigua Sailing Week event which runs from April 27th to May 3rd. 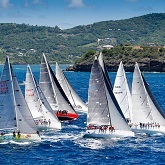 THE COUNTDOWN IS ON to the Saturday start of the biggest Sailing event in Antigua and Barbuda and one of the most esteemed in the Caribbean and around the world. Find out where you can watch the start of the races. 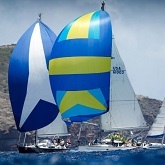 Check out the complete sailing race calendar for Antigua Sailing Week 2013. If you’re participating in Antigua Sailing Week, find out how you can get discounted Liat flights. Check out this video recapping Antigua Sailing Week and catch a glimpse of what it's like to be at one of the most exciting yachting event. 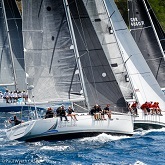 Join Antigua Sailing Week and Wadadli Cats for their famous official Antigua Sailing Week Spectator Boat. Over 100 yachts from all over the world are expected to compete at the 46th edition of Antigua Sailing Week. To ensure the event runs smoothly, Antigua Sailing Week is looking for a limited number of volunteers to join the elite SWAT team and receive the coveted volunteers-only t-shirt. 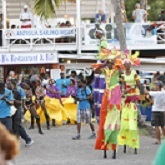 FULL party schedule released for the 2013 Antigua Sailing Week festival. 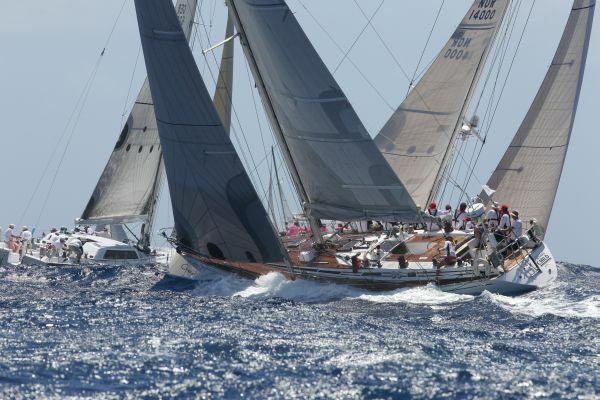 The Nonsuch Bay RS Elite Challenge will add excitement to Antigua Sailing Week's Lay Day. 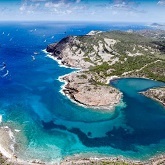 www.bluewater-sailing has individual places still available on Chao Lay for Antigua Sailing Week. Antigua Sailing Week 2013 shaping up nicely with more than 10 international yachts over 50 feet among a fleet of more than 70 yachts already committed. Tuna, a true friend of Antigua Sailing Week, passed away on November 25, 2012. HAPPY CHRISTMAS FROM ANTIGUA SAILING WEEK! 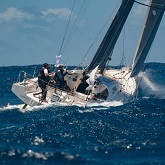 While sending Christmas wishes, ASW announces the Nonsuch Bay RS Elite Challenge scheduled for Lay Day 2013. 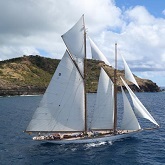 Last weekend a contingent of Antiguan sailors headed flotilla style with four racing yachts and two motherships to the neighbouring island of Guadeloupe to take part in the Triskell Cup Regatta. 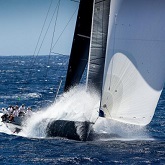 The charter market for Antigua Sailing Week 2013 is hot and boats are booking up quickly. The ASW team needs your assistance with compiling the history of Antigua Sailing Week. and they have English Harbour Rum with them. 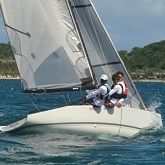 Feedback received from competitors will help to shape Antigua Sailing Week 2013. Kathy Lammers explains to David Glenn, Editor of Yachting World, why Antigua Sailing Week does not use the IRC Rating Rule. 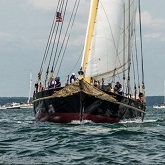 ANTIQUA'S SAILING WEEK: SAIL ON SAILOR! 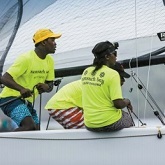 The international regatta season may have ended with Antigua Sailing Week early in May, but sailing enthusiasts are still out on the water each week honing their skills. It’s hard to believe the racing ended more than a week ago. If it already seems like a distant memory or someone else's dream, check out our galleries and see for yourself - it really did happen! 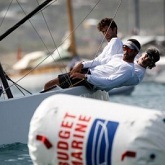 Antigua Sailing Week 2012 is reviewed and remembered by Louay Habib. David Glenn, Editor of Yachting World, offers his final thoughts on a superb week in Antigua. 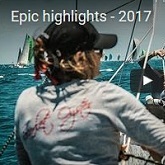 Highlights from the final day of racing at Antigua Sailing Week, interviews with local racers and onboard footage from the leading boats. It was yet another day of episode and drama at Antigua Sailing Week. 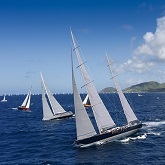 This year's Antigua Sailing Week is producing intense battles right through the fleet with close encounters a plenty. The wind moderates and the sky goes a bit grey but the pressure to win drives action on the water. A few mishaps and an accident are the manifestation of this tension as some classes are decided while others are fought for. Lay day fun with dinghy sailing, stand up paddle board racing and a special appearance from some West Indies cricketing legends, as well as footage of the Tuesday night performance from son of Bob Marley, Ky-Mani Marley. Boisterous conditions heat up the competition in both fleets and we hear from two very interesting participants. After two days of big breeze, day three of Antigua Sailing Week saw similar conditions for the competitors, the ocean mark laid for big boats was a new addition. Several days of thrilling competition on the water during Antigua Sailing Week 2012 gave way on Tuesday night for an inspiring and entertaining musical ride courtesy of Ky-Mani Marley, son of legendary reggae artist, Bob Marley. 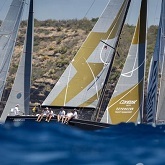 The second day of Antigua Sailing Week will be remembered for sparkling racing conditions which piped up at the end of the day to deliver some high octane racing in the sublime waters on the leeward side of Antigua. 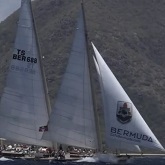 Day 2 Antigua sailing week with footage onboard with class 2's leader 'Scarlet Oyster' and the awesome trimaran 'Paradox'. A dramatic rescue and competitive racing provided the memories of day one of the 46th Antigua Sailing Week. Impressive performances were recorded by Sojana and Geoffrey Pidduck's Biwi Magic. 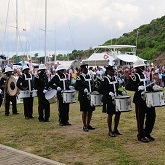 The 45th Antigua Sailing Week got off to a rousing start with an entertaining mix of activities in the Nelson's Dockyard on Saturday evening. Sparks flew when 'King Viv' came to the crease, and there was some electrifying action on the first day of Antigua Sailing Week. Based in historic Nelson's Dockyard, A & F Sails is run by the highly experienced Franklyn Braithwaite, who has over 30 years experience in sail making. 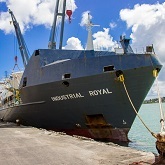 The imobile Dockyard Festival will take place during Antigua Sailing Week in Nelson’s Dockyard on Sunday, April 29 beginning at 2:30 pm. Antigua Sailing Week has announced that all of its official regatta documents can be found on its website. 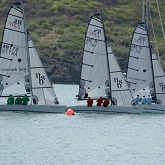 Antigua Sailing Week is planning dinghy racing on Pigeon Beach on Lay Day for Antigua’s youths paired up with ASW sailors. Antigua Sailing Week would not be Antigua Sailing Week without the vendors who create a wonderful place to eat, drink and lime daily in the parking lot of Nelson’s Dockyard. All entries for the LIAT Schoolsâ€™ Art Competition were collected just over a week ago, and on Friday the judges gathered to assess this yearâ€™s submissions. School children between the ages of 4 and 18 years old were invited to capture on paper just what Antigua Sailing Week means to them. Starting on Monday 23rd April, we will be giving out 2 tickets per day to one lucky winner throughout the week, until the competition closes on Friday 27th April. 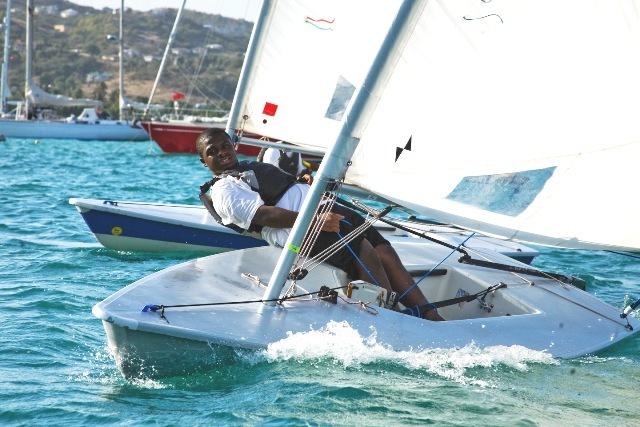 The Antigua Sailing Week Committee is pleased to announce that former West Indies cricketer Kenneth Benjamin is throwing the full weight of the Liberta Sports Club behind Sailing Week 2012, scheduled to run from April 29 – May 4. 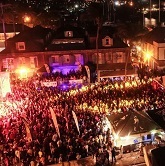 Check out the schedule for all parties going down during Antigua Sailing Week 2012. 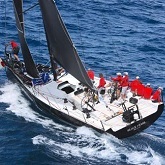 ‘The Escaped Aussies’ will race in Antigua Sailing Week and will assist the Good Shepherd Home for Children while in Antigua. 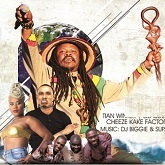 KY-MANI TO PERFORM AT ANTIGUA SAILING WEEK! Ky-Mani Marley was born in Jamaica in 1976 and was just five when his legendary father Bob Marley passed away. 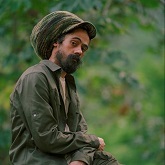 At the age of nine he moved with his mother to the inner-city of Miami and the combination of cultures significantly contributed to his music style of Urban Reggae. The Copper and Lumber Restaurant was the scene of the final farewell to the slew of Russian businessmen who made Antigua and Barbuda their playground for the past week. For the first time this year, Antigua Sailing Week will be showing ASWTV in bars and restaurants throughout the English Harbour area. 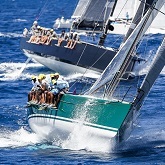 The entry list for the 45th Antigua Sailing Week is fast approaching over 100 yachts. 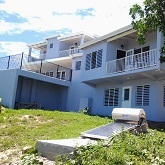 Antigua Sailing Week will be holding an art exhibition at the opening of the week in 2012, in conjunction with Art At The Ridge. 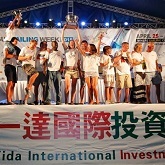 Antigua Sailing Week has introduced daily prize-givings for its 2012 regatta and is seeking sponsored prizes. 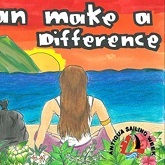 Antigua Sailing Week will hold its annual volunteer recruitment session on Thursday, March 22, 2012. 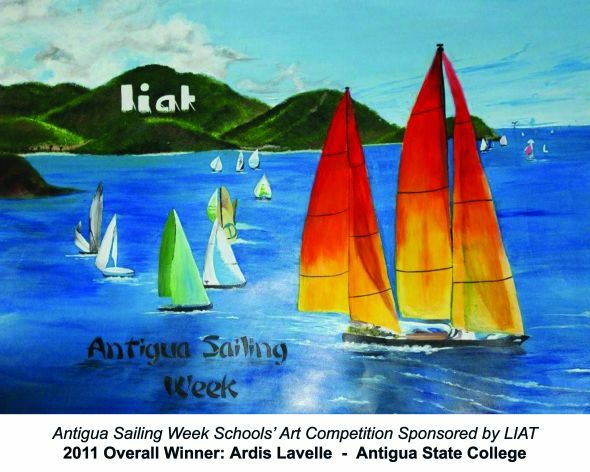 Antigua Sailing Week has announced its annual Schools Art Competition sponsored by Liat, The Caribbean Airline. 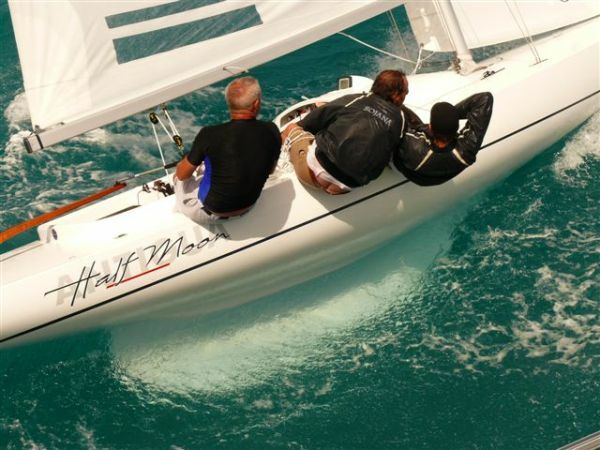 HIHO will design a range of casual and technical clothing for Antigua Sailing Week. The collection will feature the brand’s well-known quality materials and details, plus dedicated hangtags and main labels. 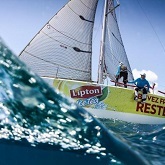 Sir Hugh Bailey and Peter Holmberg highlight the Caribbean’s longest-running and most prestigious sailing regatta. 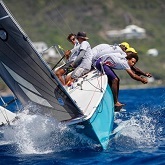 Antigua Sailing Week has announced that it has adopted Antigua’s National Sailing Academy as its Official Charity for 2012. 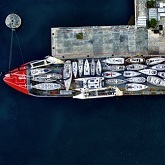 Antigua Sailing Week announced that yacht Pinel is the winner of its competition for free dockage at Nelson’s Dockyard Marina. Helping Antigua children to get into the yachting industry in Antigua and Barbuda. On Saturday, January 21 representatives from Antigua and Guadeloupe met in Deshaies to discuss future collaboration. With just four months to go to the start of the Caribbeanâ€™s most prestigious regatta, there is still time and opportunity to enjoy the delights of Antigua Sailing Week. 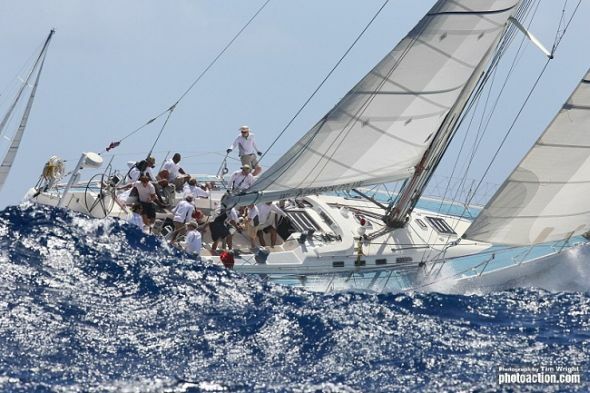 Plans are well under way for Antigua Sailing Week which takes place at the end of April 2012. 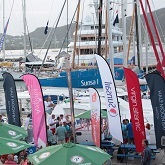 Antigua Sailing Week has announced its sponsors to date for the 2012 event and welcomes sponsorship inquiries from interested businesses and individuals. 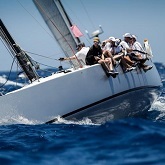 The Regatta Organising Committee this week issued the Notice of Race for Antigua Sailing Week 2012. 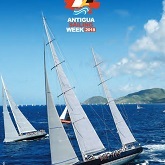 We are delighted to announce that the Antigua Sailing Week 2012 magazine has arrived on island. 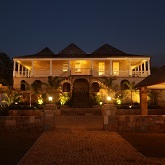 Enter ASW by 30th November 2012 for the chance to win a one week stay for two at the Nonsuch Bay Resort. 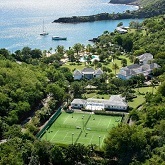 English Harbour, Antigua - Antigua Sailing Week is delighted to announce Sunsail as Gold Sponsor for its 2012 event. 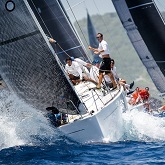 ANTIGUA SAILING WEEK ANNOUNCES THE REBIRTH OF ITS YACHTING WORLD ROUND ANTIGUA RACE! 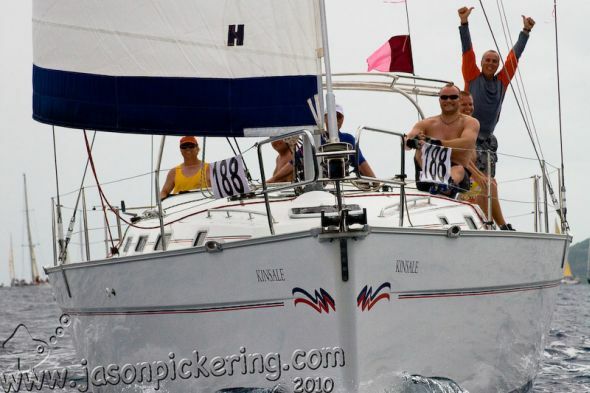 Scheduled for Saturday 28th April 2012 - take part in this exciting race at the start of ASW 2012. Just over a month after the end of Antigua Sailing Week is crunch time in terms of what the international media thought of the event. Possibly the most influential magazine to cover the event is Yachting World. 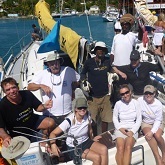 The SWAT (Sailing Week Antigua Team) is still singing the praises of a program to which they donated their time. ANTIGUA SAILING WEEK – ALIVE AND KICKING! 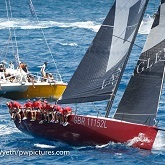 Read the final wrap up of Antigua Sailing Week 2011 with exciting video coverage. Today’s 18-knot easterly seemed almost benign compared to the rush of trade winds that have been blasting through Antigua Sailing Week. An event like Antigua Sailing Week can only take place with the support of its sponsors and partners. A full blown easterly with trade winds touching 25 knots provided for some high speed thrilling action on the pristine blue waters along Antigua’s leeward coastline. Foaming surf with waves breaking over two metres today was about staying under control, especially off Turtle Beach which was prone to gusts approaching 30 knots. Shirley Heights offers one of the most spectacular views any where in the Caribbean. High above English Harbour with the entire Antigua Sailing Week fleet below, a magical night started as the sun set over Montserrat in the distance. With 250 entries from a wide range of schools and quality talent to boot, there was bound to be keen rivalry for this year's annual competition! 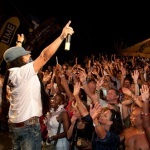 MAXI PRIEST CONCERT PHOTO RECAP! Check out the photos and relive the fun or see what you missed at the Maxi Priest Concert at Shirley Heights! It is with great sadness that we report that a fire on board Titan XV took hold during Antigua Sailing Week resulting in the boat being badly damaged. Sailors come to Antigua for thrilling, warm, adrenalin-pumping sailing and today, the hundreds of competitors at Antigua Sailing Week certainly got what they came for. There was another day of superb racing at the 44th Antigua Sailing Week. The breeze built during the day providing the competitors with some scintillating sailing in glorious sunshine with increased swell providing some blistering downwind action with the big boats fully launched at over 20 knots of boat speed. 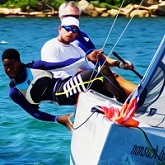 Two young Antiguan crew members abroad Hugo B - Heather Cooper and Shawn Malone - are calling for young nationals to become more involved in competitive sailing as a coï¿½curricular activity. The Race is On… And the Captain and Crew of Antigua & Barbuda’s finest Cruise yacht, Hugo B, said they will not be banking on coincidence. Breakfast at Shirley Heights Lookout & Race 1 Begins! 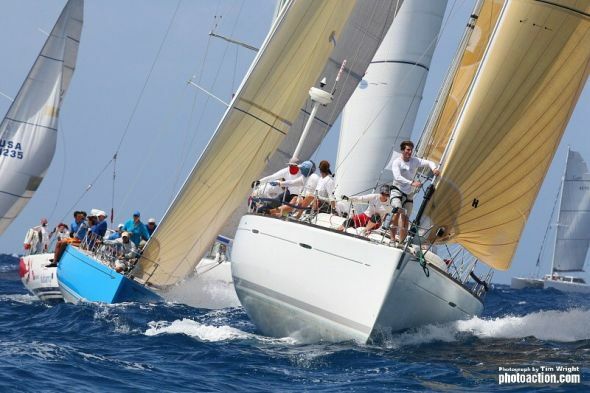 Antigua & Barbuda’s godfather for the yachting industry, 68 –year –old, Sir Hugh Bailey of Falmouth, is promising to serve –up an excellent head to head competition, when the 44th Sailing Week regatta commences on April 24th. Check out photo gallery of the 44th Annual Sailing Week opening media reception. 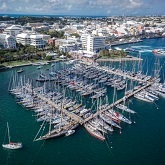 With just a few days to go until the 44th Antigua Sailing Week, English and Falmouth Harbour is filling up with yachts of all shapes and sizes. 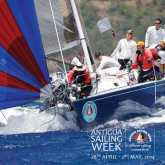 ANTIGUA SAILING WEEK BEGINS THIS WEEK! 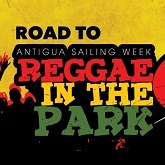 Antigua Sailing Week begins this weekend with the Welcome Party in Event Village at 5 pm on Saturday, April 23! ANTIGUA SAILING WEEK GOLD HAS ARRIVED ON THE ISLAND! 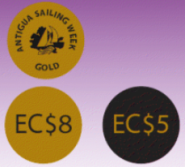 Antigua Sailing Week’s official currency, ASW Gold has arrived and is being prepared to be put into circulation. Win one of two USD $200.00 or EC $540.00 deposit accounts. 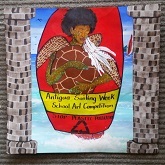 An exciting new signboard was chosen for the 2011 Antigua Sailing Week Schools’ Signboard Competition sponsored by LIAT. The most successful reggae solo artist in the world, second only to legend Bob Marley, will be performing live on Tuesday 26th April at Antigua Sailing Week. 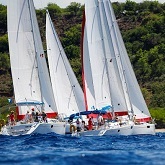 Provisional Sailing Instructions are now available on the home page of the Antigua Sailing Week website. 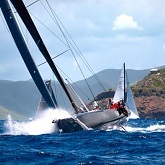 On Sunday April 24th experience the thrills of Antigua Sailing Week. 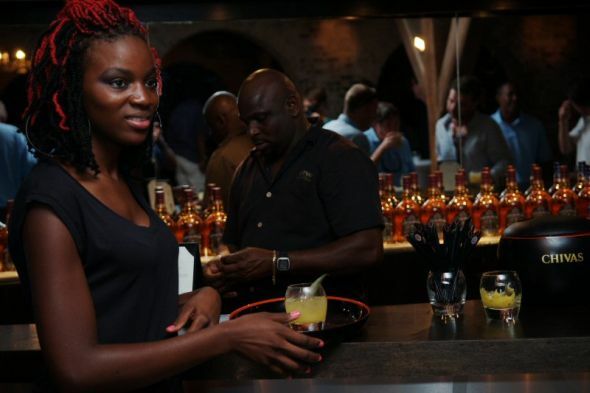 Chivas Regal, Diamond Sponsor for Antigua Sailing Week 2011 is once again offering VIP Packages. This year it's going to be even BIGGER and BETTER!!! With one month to go, things are hotting up as entries reach the 100 mark and provisional courses are released. ANTIGUA SAILING WEEK STILL NEEDS YOU! Antigua Sailing Week is still looking for a number of volunteers to assist with production, hospitality and race committee operations. Antigua Sailing Week in conjunction with the Antigua Yacht Club announce plans for the annual Guadeloupe to Antigua Race in the lead up to Antigua Sailing Week. SAILING WEEK NEEDS YOU! COME VOLUNTEER AT ANTIGUA’S BIGGEST SAILING EVENT. Anyone who attended the fantastic Sailing Week parties last year will remember that not only were there were hundreds of sailors, but thousands of Antiguans and Barbudans enjoying the lime. 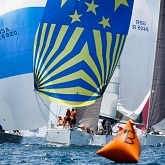 That of course is to be expected when after Carnival, Sailing Week is the biggest week of our event calendar. Win Airline Tickets, Ipods, Art Supplies and other fabulous prizes! 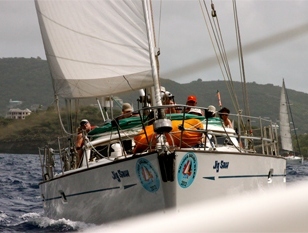 The Antigua Dragon Association still has a fleet of eight Dragons available for charter for Sailing Week 2011 for only US $2,100 for a full week! The organisers of Antigua Sailing Week are pleased to announce the details of its Ocean Series and online entries are now open. 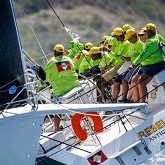 Antigua Sailing Week Gold sponsor, Ondeck, has easy solutions to get you racing. Or check any of the other available charter options. 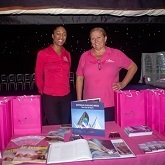 Choc full of useful information about Sailing Week and the entire autumn yachting season in Antigua for 2010/11. With just over five months until Antigua Sailing Week, entries are coming in thick and fast from all over the world! Would you like to get involved in Sailing Week? Antigua Sailing Week 2011 will see many positive improvements including more suitable courses for smaller boats, CSA and/or IRC classes, a bigger and better Ocean Series, an exciting new Event Village and an attempt to keep the fleets together at one race-end venue at the end of each day. 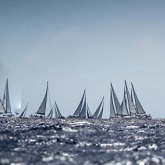 The Regatta Organising Committee are making changes in the race format for 2011. 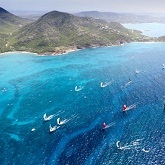 RE-LIVE ANTIGUA SAILING WEEK 2010 ON SKY SPORTS SOON. Then start making your plans to take part for 2011 from 24th – 29th April 2011. SAILING WEEK SAY THANK YOU. 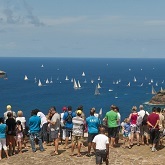 Check out Ted Martin's photo gallery from Antigua Sailing Week 2010. Light winds on the penultimate day of racing. 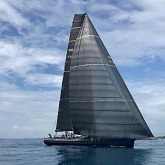 Sojana, Peter Harrison’s 115ft Farr superyacht, has broken her own record in today’s 80-mile Round Redonda Race by 45 minutes, with a time of 7 hours, 9 minutes and 58 seconds. The forecast predicted light winds that threatened to put a damper on the opening day of Antigua Sailing Week (24- 30 April 2010) spiced up sufficiently this morning as the fleets made their way to the startline off Falmouth Harbour. Hundreds of people gathered in Jolly Harbour tonight to enjoy the annual Jolly Harbour Day. 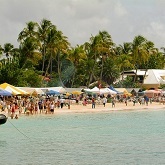 It was a delight to see so many people on the beach so early yesterday at Dickenson Bay Bash. Vendors and sponsors along with the bars and restaurants along the beach provided a huge choice of entertainment, DJ’s, and live bands. Nelson's Dockyard hosted the official Welcome Party for Sailing Week. Despite the current flight disruption in Europe that has left many competitors struggling to reach Antigua Sailing Week, there were nine entries in today’s Guadeloupe to Antigua Race. For Leinfelder Goldschmiede Munich, Diamond Sponsor of Antigua Sailing Week 2010, the last few days have been incredibly stressful as they awaited news of whether they would be able fly to Antigua in time for the start of Sailing Week. Originally booked on the once weekly Condor flight out of Germany, the Icelandic volcanic eruption left them stranded like many people across the world. 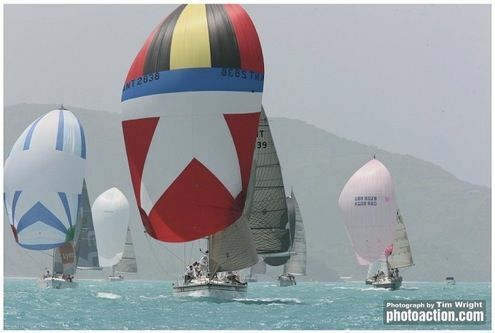 With just four days remaining before the start of 43rd edition of Antigua Sailing Week (24-30 April 2010), there is still a consistent stream of entries coming in. 278 entries from 20 schools battled for honours in this year's competition. Chivas Regal will be introducing the Chivas Regal Antigua Sailing Week VIP lounge, the VIP Lounge will be located at all official venues during Antigua Sailing Week. VIP Guests will ONLY be permitted access to the VIP Lounge with their VIP CARD. The entries are finally in! 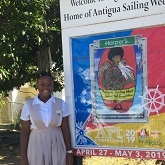 Antigua Sailing Week is pleased to announce that over 270 original art pieces from 20 schools across the island have been entered into this year’s LIAT sponsored School’s Art Competition. 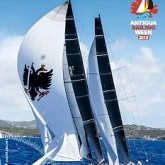 Once again Antigua Sailing Week would like to invite you to come and experience the thrill and excitement of the races. 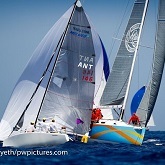 Watch out for Antigua Sailing Week on BBC World TV. Cool days in Antigua you might ask? Well if you consider fast competitive sailing around the Caribbean Sea followed by beach parties with live music cool, then yes. As for long hot nights, that doesn’t take so much explaining when you realise that every night for a week there will be a sailing week party, and everyone is all invited. The overall winner of the Cruising fleet at the 43rd edition of Antigua Sailing Week (24-30 April 2010) will be going home with a solid gold Leinfelder watch. 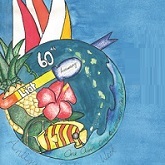 Young artists between the ages of 5 and 17 are invited to enter the 2010 Antigua Sailing Week/ LIAT Schools' signboard competition, for which the deadline is Wednesday, March 31. There’ll be no shortage of superstars on the racecourse at the 43rd edition of Antigua Sailing Week (24-30 April 2010). 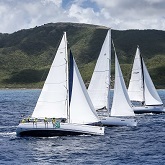 43rd edition of Antigua Sailing Week (24-30 April 2010), competition is expected to be exceptionally challenging for this annual Caribbean extravaganza. Despite the current financial challenges, the 43rd edition of Antigua Sailing Week (24- 30 April 2010) promises to be one of the best yet. Whether you are a sailor or a spectator, take a look at this Caribbean Travel and Life article to inspire you to get involved for 2010.